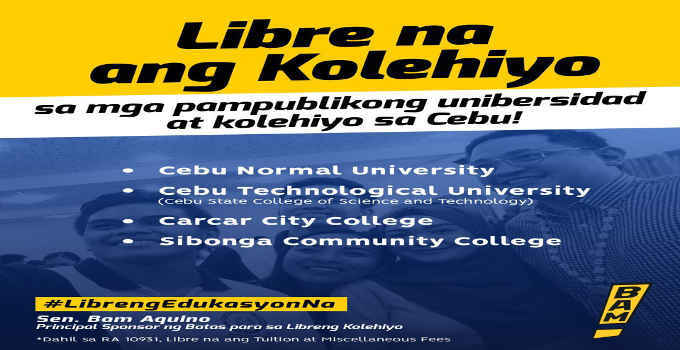 College is now free in public universities and colleges in Cebu. Senator Bam Aquino is the principal sponsor of the law giving free college. Because of RA 10931, tuition and miscellaneous fees are now free.